The official cut-off age for the National Youth Service Corp is 30 years but it is common to see over-aged people partaking in the one year service to father land. 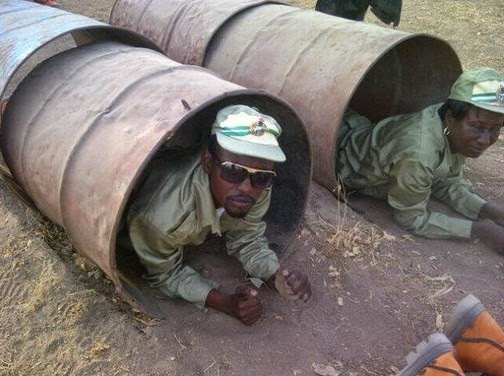 While this may mean you will not have the discharge letter it is stil a risk to perform some rigorous exercises carried out in NYSC camps when you have passed a certain age. See the photo below and tell me what such an old woman is doing in an NYSC camp.